Providing you the best range of zeta plus series filter, cartridge filters, bag filter, sand filters, activated carbon filters and conical filters with effective & timely delivery. Zeta Plus™ S Series media are advanced depth filter media designed to provide optimal clarification of pharmaceutical, biological, bioprocess, cosmetic, and food and beverage fluids. Retains contaminants by mechanical entrapment and electrokinetic adsorption. High contaminant holding capacity for economical filtration and reliable particle reduction.Full range of scaleable capsule and cartridge filter configurations allow pilot testing and scale-up with the same materials that will be used in full-scale systems. and electrokinetic adsorption. High contaminant holding capacity for economical filtration and reliable particle reduction.Full range of scaleable capsule and cartridge filter configurations allow pilot testing and scale-up with the same materials that will be used in full-scale systems. Full range of scaleable capsule and cartridge filter configurations allow pilot testing and scale-up with the same materials that will be used in full-scale systems. Self-contained, single-use disposable capsules and cartridge modules reduces labor time for change-outs and eliminates cleaning validation. 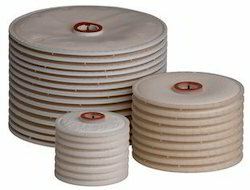 We are engaged in manufacturing and supplying of a wide range of Metal Cartridge Filters that is manufactured using quality SS 316L powder & fiber or woven mesh. These are available with strong pore structure to ensure absolute filtration efficiency. Our filters are best suited for high temperature gases filtration up-to 800°C. Further, these are known for their high temperature resistance, tensile strength, high bursting and corrosion resistance features. 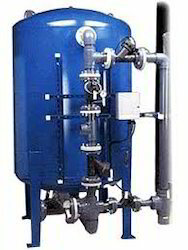 Sand Filters offered by us are used to filter the effluent that is low in suspended solids, these are specially designed filters for industrial and domestic use in trapping turbidity. 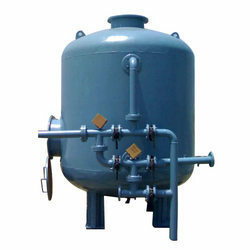 Our expertise in the respective domain enables us to manufacture and export a quality range of Sand Filters. This filtration system removes sand particles from the water of ponds, tanks and reservoirs. The filter bed of this product comprises of a uniform fine particle sand mixture as specified. We are engaged in manufacturing, supplying and exporting superior quality Activated Carbon Filters. These products are used in various industries to remove free chlorine and objectionable taste and odors from the water. We manufacture all our products using premium raw material and advanced machinery. 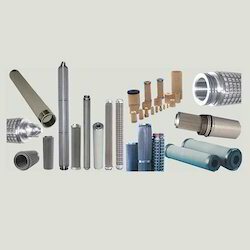 These carbon filters are highly demanded in the market and are also durable and reliable. These filters treat activated carbon with oxygen traps the particles and adsorbs other impurities from the flowing stream of water.